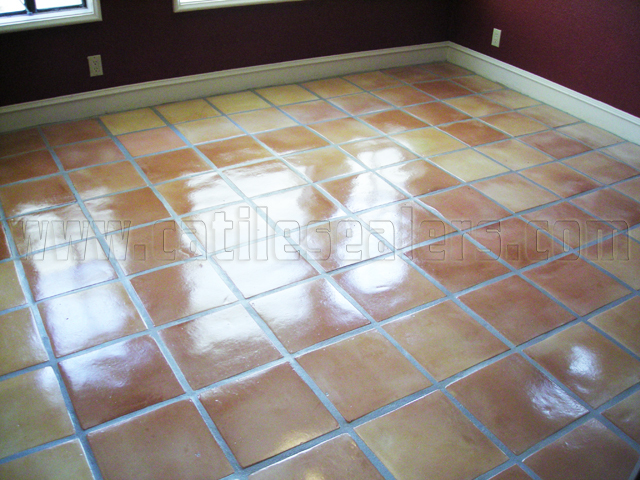 In Saltillo Mexico, craftsmen form local clay into tiles by hand, then allow the Saltillo Tiles to bake in the sun. 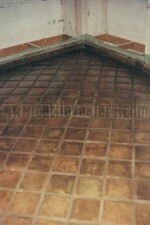 Before they ship to stores, the Saltillo Tiles are fired in kilns to add strength and color. 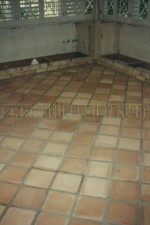 These tiles are beautiful and add luxury to your home. 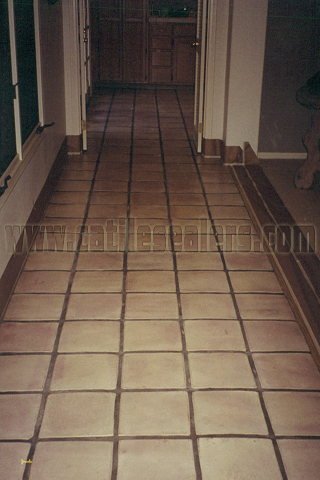 Saltillo Tiles require particular upkeep and care and are not recommended for use in due to their ease of staining and breaking. 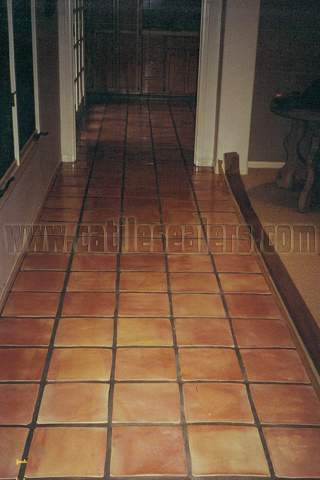 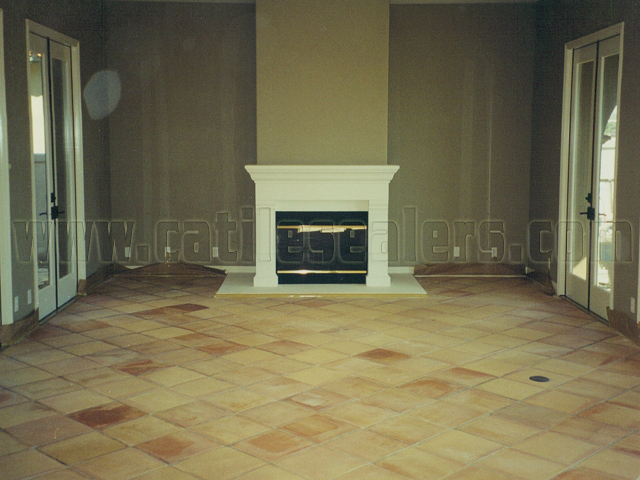 While Saltillo Tiles feature a rich terracotta coloring, some homeowners choose to coat the tiles with stain before sealing them. 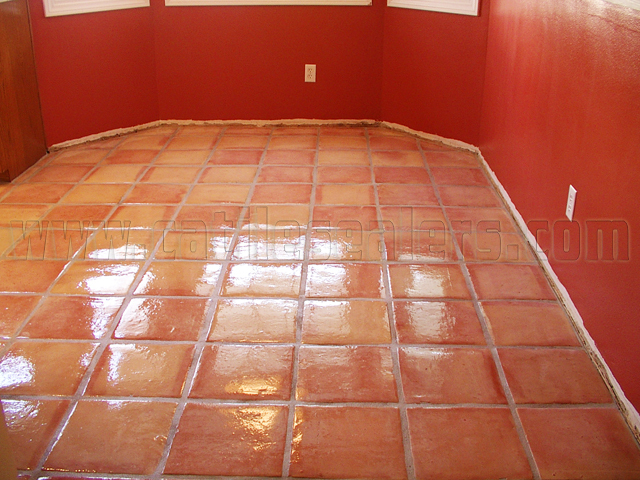 By staining installed Saltillo Tile floors, you can customize the color of your floors and give them an updated look to match your décor. 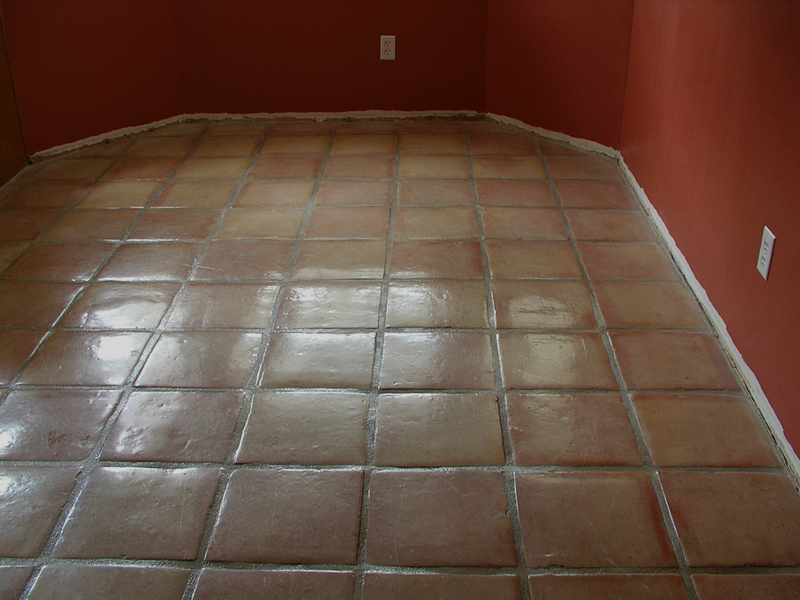 The specialists at California Tile Sealers have the expertise to clean, strip, restore, and refinish your stained Mexican Pavers and Saltillo Tile floors, at the same time making them easier to maintain. We can return your floors to its original elegance and beauty! 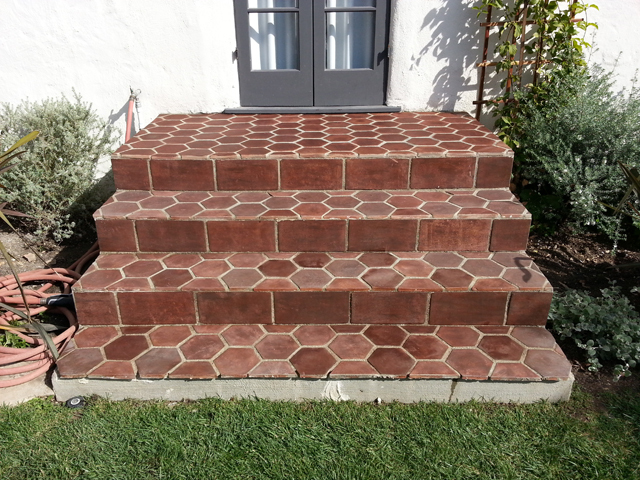 New Mexican Saltillo paver tiles. 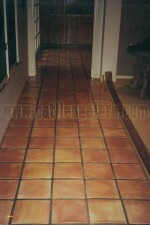 Mexican Saltillo paver tiles acid washed, stained with Spanish Oak stain, and sealed with high gloss sealer / polish. 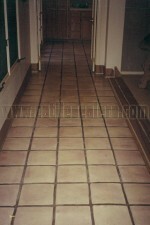 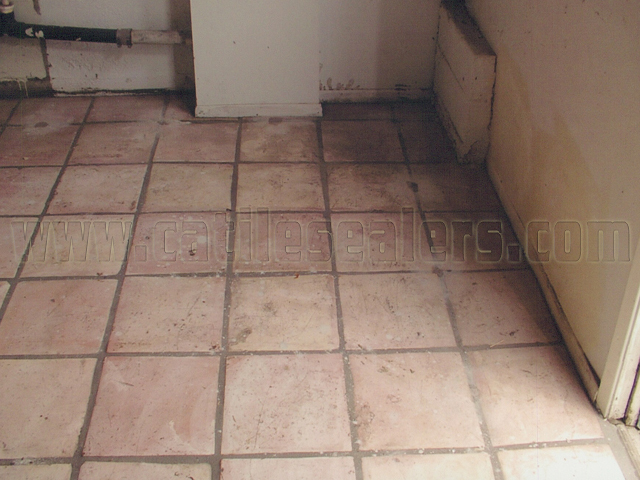 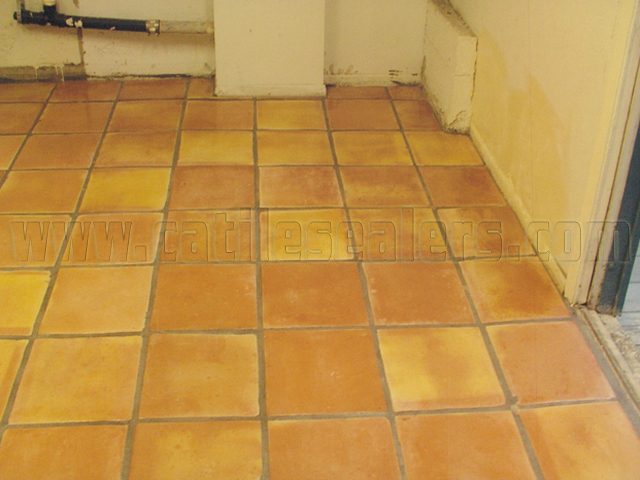 Mexican Saltillo paver tiles completely stripped to bare tile, acid washed and sealed with medium shine sealer. 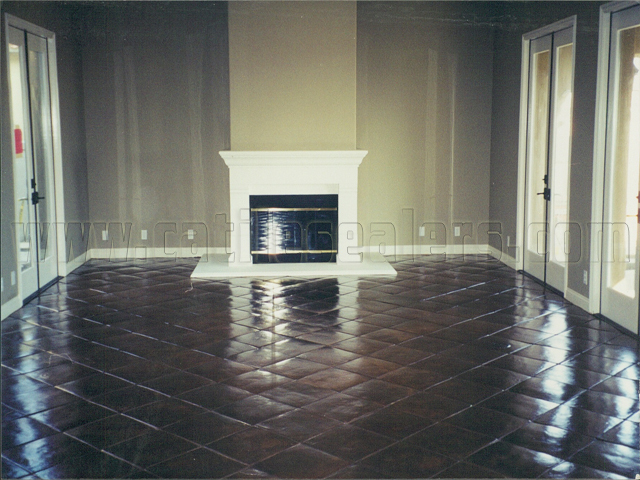 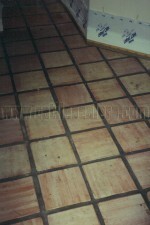 Mexican Saltillo paver tiles acid washed, stained with Spanish Oak stain, and sealed with medium shine sealer. 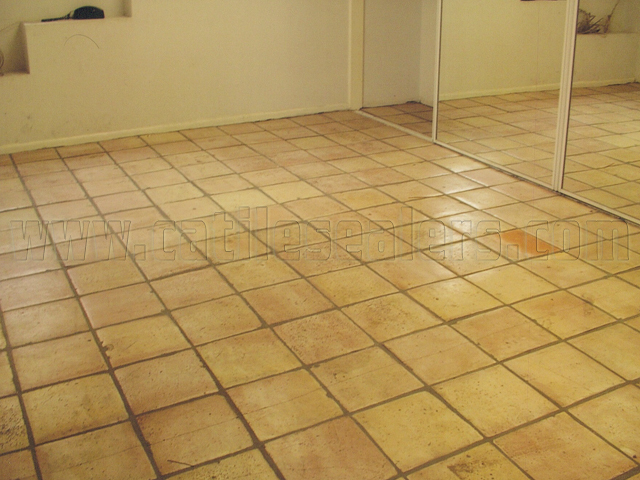 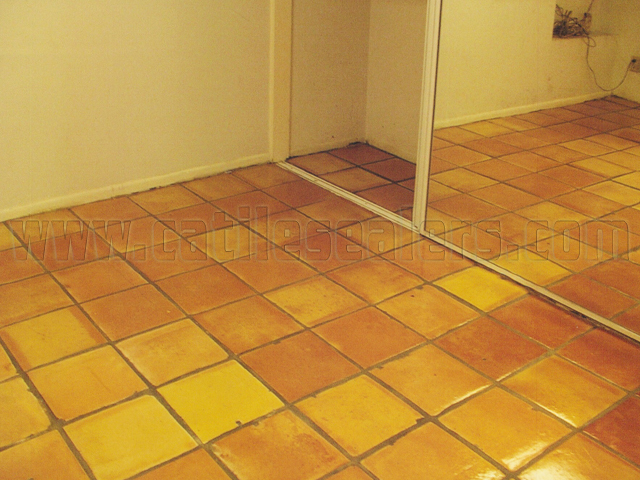 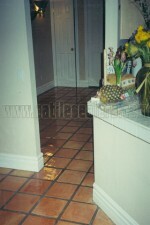 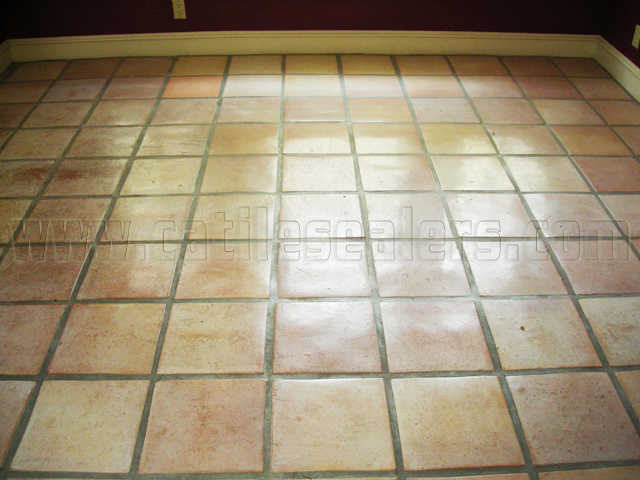 Mexican Saltillo paver tiles completely stripped to bare tile, acid washed and sealed with high gloss sealer / polish. 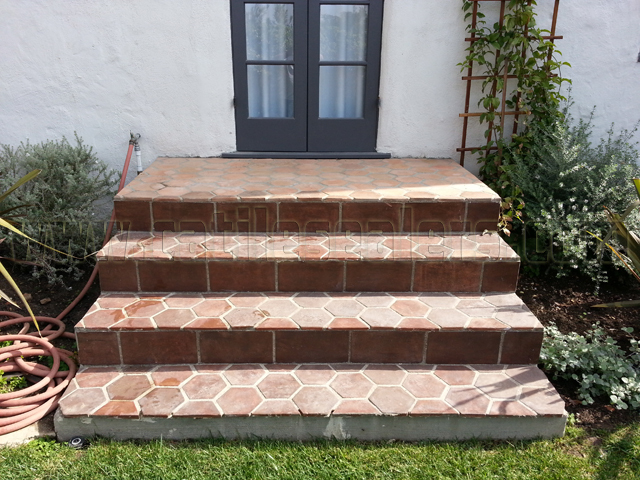 Mexican Saltillo paver tiles cleaned, stained, and sealed with penetrating sealer.